In the December 1979 issue of Fun & Games, the final issue of a magazine published for six months back then by Cream, Ltd., James Adderly wrote a story in honor of the great Gene Guild, who was 24 years old at the time and at his football peak. On hearing Wednesday morning of Gene’s sudden, untimely death in New York Tuesday night, I went into my archives and found James’ story. He pointed out something I had completely forgotten. 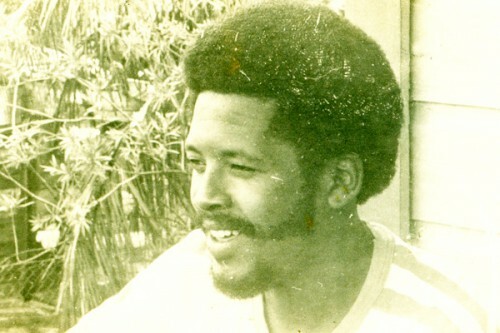 On the Belize selection’s tour of what James referred to as “Aguadulce,” Mexico in 1978, Gene Guild scored four of the selection’s seven goals. I always thought that we had travelled to Coatzacoalcos, but I have also heard “Aguadulce” before. I was the vice-president of the Belize Amateur Football Association (BAFA) at the time and the highest ranking football official on the tour. Mr. Froylan Gilharry drove us about 11 or 12 hours from Corozal Town to reach where we went. I know it was an oil producing part of Mexico. I felt we were in the area of Villahermosa. Led by Christobal Mayen, this 1978 squad was one of the greatest Belize selections ever in the time before independence and our entry into FIFA. After we drew our first game, I went radical and took over the team. (What I mean by this is that this tour of a foreign state had official leadership in the person of Mr. Bradley, who made it clear that he represented the Hon. Premier, Mr. Price. I didn’t like the way he spoke to the team before the first game. So I asserted my BAFA authority and started doing the talking.) We then won four straight games, each game against a higher ranked Mexican team, and returned home undefeated. I’ve never said what happened on that tour, but most of the players are still alive, except for the famous Buck Palacio, who died last year, and now Gene. In honor of Gene, this newspaper will reprint James Adderly’s story in next week’s mid-week issue. Apart from being one of Belize’s best strikers ever, Gene Guild was one of the finest gentlemen you would ever want to meet. We honor him, and extend deep condolences to his family and friends.